Find out what makes Just Shutters special, how we have earned our unsurpassed reputation and learn more about our beautiful Plantation Shutters, our history, ethos and team. If you are looking for a quick and simple way to price your shutters with us, our calculator will give you an all-inclusive cost for our shutters; designed, installed and guaranteed! Please note for complete accuracy and our best prices we always advise a home visit. Be inspired by a huge selection of images from our installations over the years, from our classic bays to a 50 foot atrium, we have something to inspire you. Whatever your taste and style our galleries are sure to get your creativity flowing. 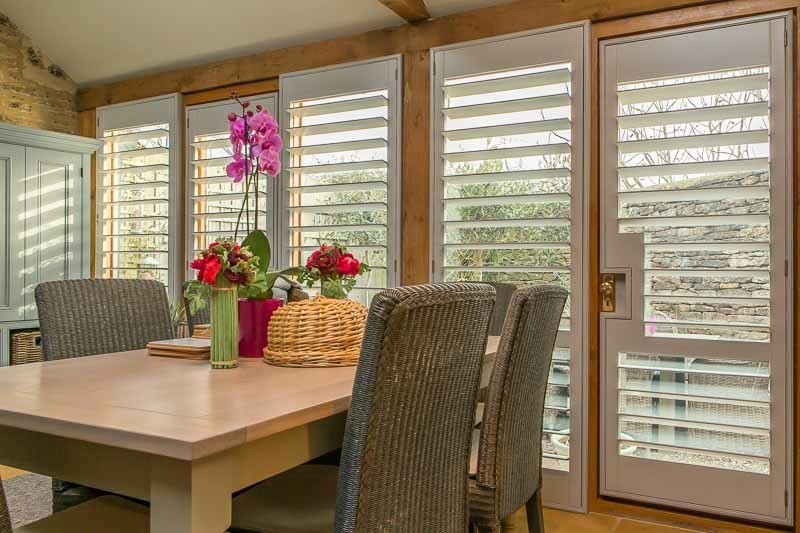 Request a design visit from one of our shutter specialists where you can view samples in your own windows, discuss your preferences and feel the quality of our products all in the comfort of your own home. With the widest range of options in the UK, including exclusive ranges, when it comes to our beautiful bespoke shutters, the possibilities are endless. Read more about our styles, materials and finishes here. We cover over 165 towns and cities, each run by local shutter specialists trained to the Just Shutters exacting standard. So you always have a local expert while confident in the quality and guarantees of a larger brand. To find your local Just Shutters expert click here. Download and request a postal copy of our beautiful free colour brochure. Find out more about our products, services and range of options. Welcome to Just Shutters, the home of beautiful plantation shutters. 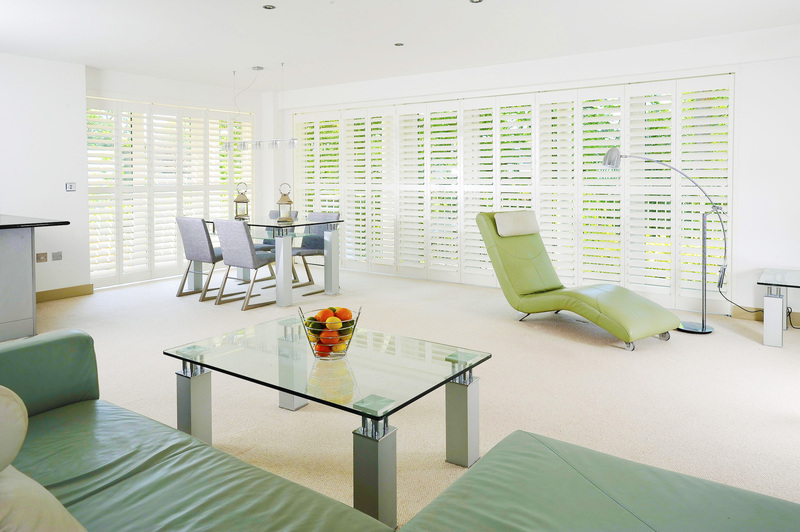 With over 30 years of experience in interior shutters, we are experts in the field. Stunning plantation shutters are all we do: they are our specialism and furthermore, our passion. Founded in 2006, Just Shutters has quickly grown, gaining an unrivalled reputation for quality and service along the way. Understanding that your house is your home is at the very heart of our thinking. From our design consultation that focuses on your style and needs, through to fitting where we ensure that your house is treated like a castle, not like a building site! And additionally for years to come as you admire the practicality and style of your beautiful shutters. You can be confident in the knowledge that every set of shutters comes with the Just Shutters lifetime guarantee. Having established our roots in the sunny county of Dorset, we have grown with our customers as our reputation and service have preceded us. We have branched out into areas far and wide, but each expansion has maintained the personal touch at the heart of our service since our conception. We now provide our service across so much of the UK; from Cornwall and Devon, Dorset, Hampshire, Sussex, Surrey and Kent in the South. Up through Wiltshire and Bath, Hertfordshire, Buckinghamshire, Cambridgeshire and Essex. Furthermore we now provide beautiful interior shutters in Cheshire, Birmingham, South Manchester, Nottinghamshire and Derbyshire. Just Shutters local specialists in each region work to ensure every customer gets the very best from their shutters. Please click here to see the overall area we cover. Just Shutters offer the very best plantation shutters, backed by expert knowledge and lifetime guarantee. Our overall service is second to none and our value and quality simply exceptional. Please call us today on 0845 894 0700 or request a home design visit, and we will show you why customers have voted us number 1 for service and quality.